The healthier you are both physically and mentally, the better chance you have at enjoying a long and prosperous retirement. There are several ways to keep your health in check through activity and exercise while also investing to ensure you have enough funds for a comfortable living at home. Retirement can be the best part of your life and these tips are here to make it even better! Retirement is a time to relax and enjoy free time at home, but this doesn’t mean you have to stay cooped up all day! Go out and explore the world and visit places you’ve never been to. This will promote an active lifestyle and keep your mind engaged. To beat the heat and still get pampered with amenities, consider a river cruise to visit places you’ve wanted to see your whole life. If you decide to go on an extended stay in a foreign country, consider one with zero tax burdens to save extra money. Want to stay local? Consider simple day trips like visits to wheelchair-friendly boardwalks or use senior discounts at museums. 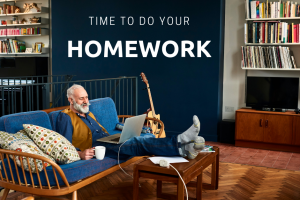 Retirement is a great time to tackle routines with a fresh perspective, solve a challenge in a new way, or pursue an artistic outlet. Creative brains use crystallized knowledge, and tests have shown that aging brains score better on Crystallized IQ tests. You might stop working around age 65, but your brain is more creative than ever before, so this is the best time to take advantage of your accumulated knowledge. Write a book, take music lessons, start painting murals for your home, design a new garden or cute birthday cards for your family members. The options are endless! A healthy diet, exercise, and sleep are proven to help prevent Alzheimer’s. But other factors like stimulating activities and social interactions also hold some evidence to thwarting the disease. Play mind games like Sudoku or crossword puzzles, read books, or consider going back to school to take classes for little to no money. Many colleges offer free tuition on a certain number of classes for senior citizens. If you were always itching to learn a new subject, meet like-minded folks in a seminar, or take a nutritional class to enhance your diet, here’s your chance to prove that an old dog really can learn new tricks! There are a lot of resources online for tips on how to best invest your money for retirement. Living a frugal life is the perfect start, but this won’t cure all your financial woes. With the help of a financial advisor, consider investing in stocks and bonds and leverage compound interest to build a portfolio that can support your senior years. If you’re willing to wait several years, an investment can grow tremendously due to compound interest. If you expect to still be paying bills 20 years from now, consider putting some of your savings into stocks to have even more money down the road, as long as you currently have the expendable income to invest. Or consider a cost-friendly city where you can purchase a home for under $150,000. Some of these cities include Las Vegas, Jacksonville, Pittsburgh, and San Antonio. No matter what decisions you choose in retirement, make sure you stay active and in tune with your body, make smart financial decisions, and keep in touch with your social circles. 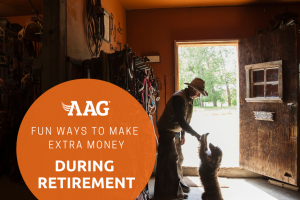 Relaxing is one of the best parts of retirement, but you also want to make sure you stay engaged to make these years the most meaningful yet!